It’s a frequently proven truism that you get what you pay for; and nowhere is this more obvious than in a bottle of champagne. 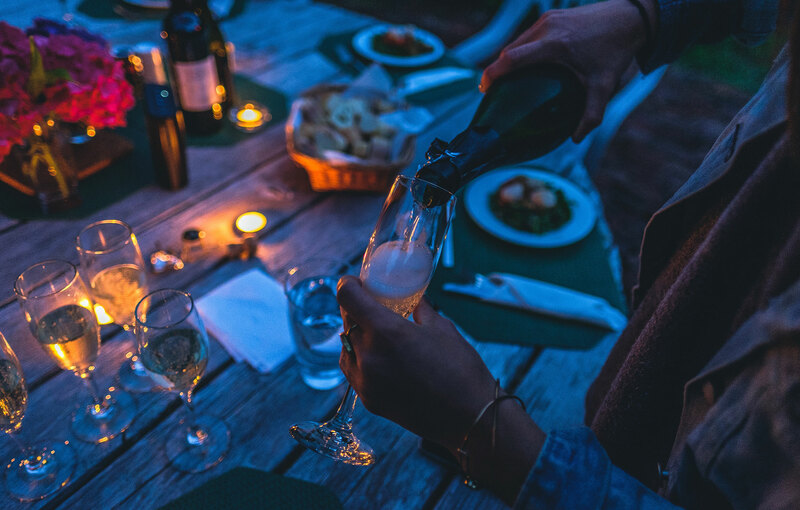 For the vast majority of us, champagne (if and when we can afford it) is a luxury to be savored only during the holidays, when both budgets, pant strings and common sense tend to be tossed alongside New Year’s resolutions that you never bothered to keep. When it comes to everyday sipping, champagne is exclusively the domain of the few, the proud… the ostentatious. The fact is, you don’t have to put a second mortgage on your home to enjoy champagne year-round. And while it is true that there are numerous vintages whose prices equal a downpayment on a new car, there are equally high quality brands available on the market that will set you back considerably less than you may have imagined. And we don’t mean the $5.99 plastic screw tops you might remember less than fondly from your youth. We mean genuinely savory, sparkly and robust wines. The sort that make your palates seem to come alive with the most delicate taste. Champagne Technically, champagne can only be referred to (and imported) as such if it refers to a sparkling wine made only in the Champagne region of France. Because brewing methods and importation are so tightly regulated, you’ll be lucky to find a bottle for under $70. However, since champagne has become an almost universal colloquialism to refer to any form of sparkling wine, for our purposes, we’ll use the term interchangeably. Doux Which contains over 50 grams of residual sugar per liter. N.V. Or “non-vintage.” This typically refers to a wine that is blended from several vintages, and may be a blend of Pinot Noir, Chardonnay or Pinot Meunier grapes. Cava, Spumante and Prosecco Refers to countries of origin; in this case, Spain and Italy respectively. Cava is typically the driest of the three, whereas Prosecco is notably sweet and full. Spumante generally falls between the two. Blanc de Blanc Which is French for “white from white.” Made entirely from Chardonnay grapes. Blanc de Noir Which is French for “white from black.” Made from either Pinot Noir, Pinot Meunier or a blend of the two. A dry, crisp brut with light citrus undertones.Organically made, Gruet was the # 1 Sparkling Wine on Wine Spectator’s Top 100 Values of 2016. Retails for an average price of $15.99 per 750ml bottle, with a 12% ABV. An unusual demi sec in that’s intended to be drank on ice.With a mellow, medium body and a slight but creamy apricot undertone, this demi sec retails for approximately $15.99 per 750 ml bottle. 11.5% ABV. Dry, with a medium bodied and toasty taste. Veuve Clicquot has made a name for themselves as one of the more popular mid-range brands, and this smooth NV is no exception. 12% ABV and retailing for approximately $28.99 per 750ml bottle. 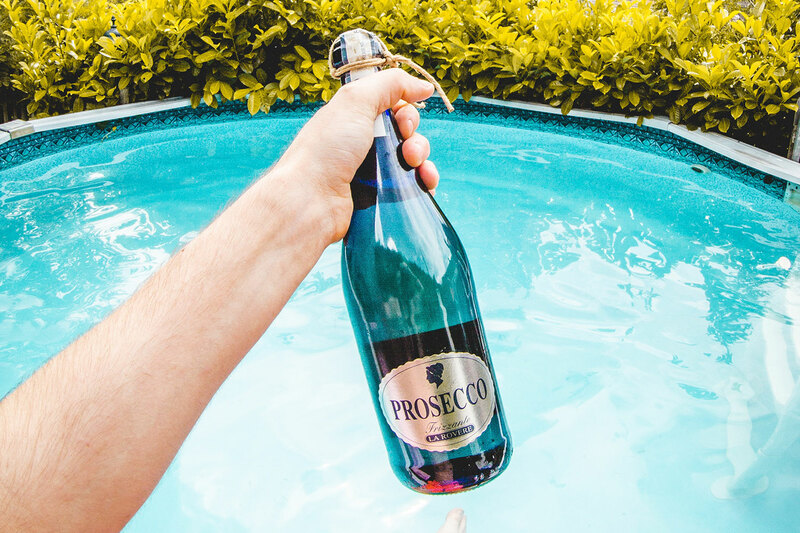 Vibrant and fresh, this prosecco’s fruity overtones are balanced by a noticeable yet mild acidity that settles easily. 11% ABV, with an average retail price of $24.99 per 750ml bottle. A complex and blended taste, highlighted by a distinctly sweet taste with undertones of warm bread, citrus and honey. 12.5% ABV, with an average retail price of $23.99 per 750ml bottle. One of the more renown (yet affordable!) of the “authentic” champagnes, the Imperial Brut is forceful and commanding, with an arid taste that doesn’t betray its complexity in the least. 12% ABV, with an average retail price of approximately $48.99 per 750ml bottle. Made from 100% Chardonnay grapes and blended with an oak-aged dosage from Chablis, Luc Belaire’s sparkler is as an opulent a gift choice as it is a toasting wine; at a fraction of the cost. Retailing for approximately $41.99 per 750ml bottle with a 12.5% ABV. The flagship champagne of the Roederer house (in existence since 1776,) the Premier blend is fruity and savory, with a slightly smoky aroma worth lingering over. Dry yet lively, this brut retails for approximately $54.99 per 750ml bottle, with a 12% ABV. Aged for over 3 years and with a slightly salty undertone with hints of nuts and tropical fruits, Heidsieck’s (one of the first importers to crack the US market in a significant) brut commands both your attention and respect. 12% ABV, with an average retail price of approximately $71.99 per 750ml bottle.